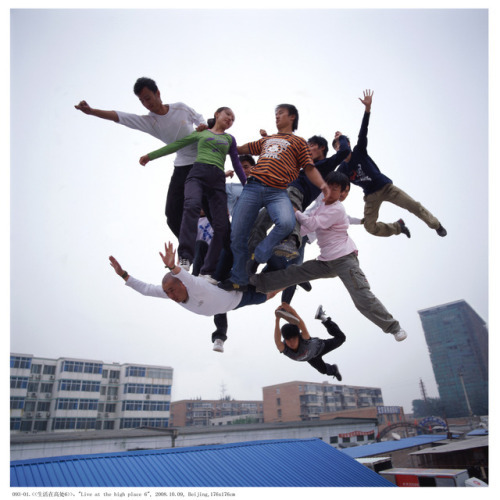 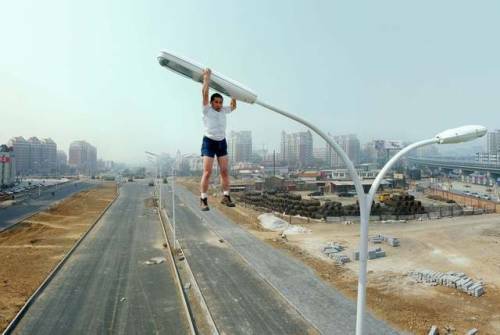 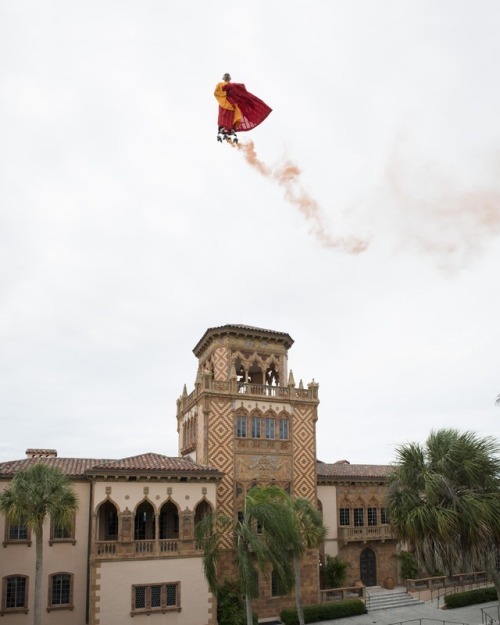 Li Wei (born in 1970, Hubei, China) is a contemporary artist from Beijing, China. 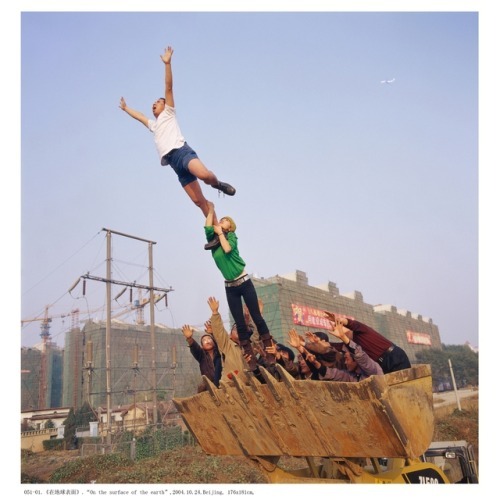 His work often depicts him in apparently gravity-defying situations. 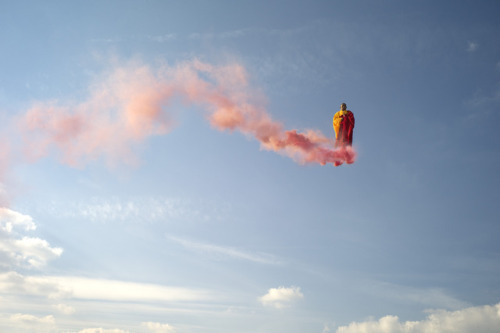 Wei started off his performance series, Mirroring, and later on, took off attention with his Falls series which shows the artist with his head and chest embedded into the ground. 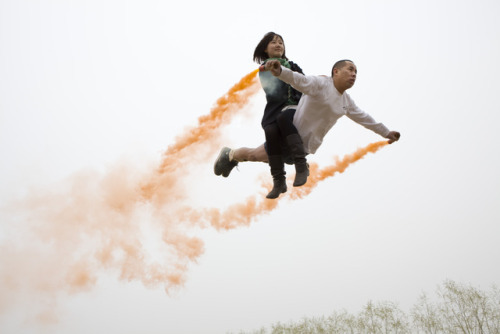 His work is a mixture of performance art and photography that creates illusions of a sometimes dangerous reality.